Space Case Grinders are cut from solid aircraft aluminum and Made in the USA! 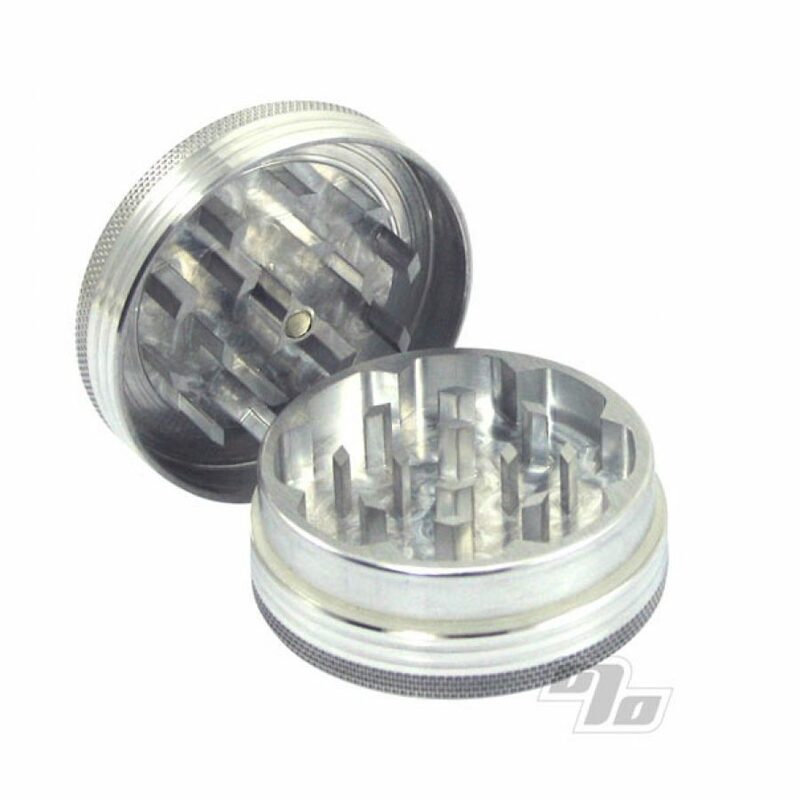 This 2 piece Space Case grinder can shred anything you sink its diamond shaped teeth into! A neodymium magnet securely holds this herb grinder together when traveling. Approximate external diameter is 2 inches with an approximate height of 7/8 inch. 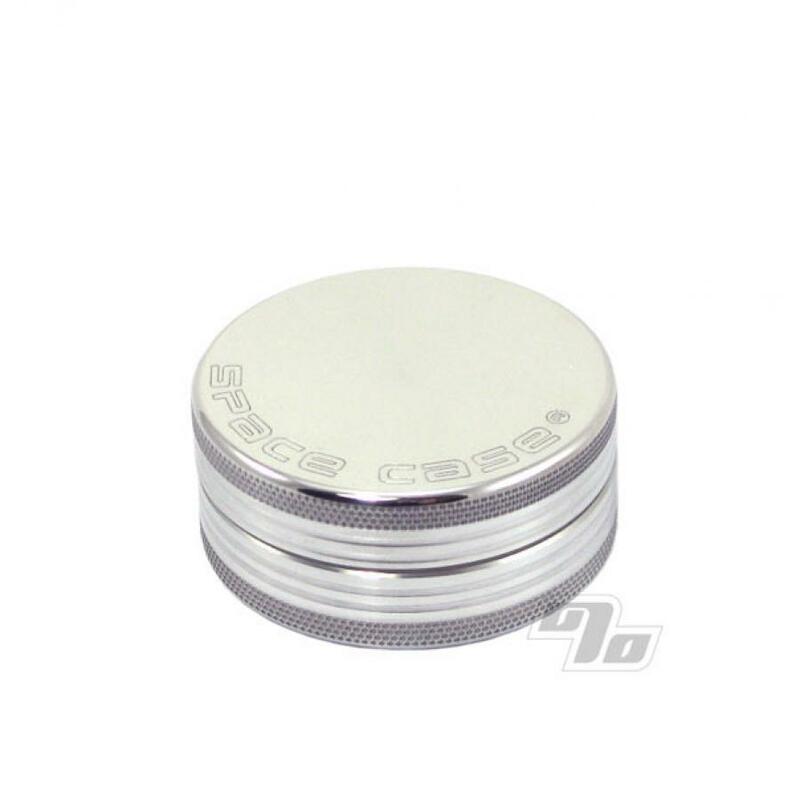 Genuine SpaceCase Grinders are made in the USA from the finest materials, finished to perfection then guaranteed for life! No Questions asked (if real)! Beware of the cheap knock-offs. It's great, and does a good job. But you have to keep it clean. Once some material gets in between the top and bottom it becomes very hard to turn. I use fantastic and a scrub brush. Big grind in a small package! Despite the smaller size and unevenly weighted top and bottom, this grinder does a GREAT job breaking up buds for vaping - slightly bigger chunks, no dust - perfect! The first case I've had that actually works well! Much better than the wooden grinders. Very well designed and feels durable. Nice little grinder, great for use with my vaporizer. Fits in palm of hand, easy to maneuver. Clean and quick. This grinder works well, but the size is difficult for my hands to hold tightly. Its not a major issue, but someday I'll buy a larger one that is easier on my hands.